MOBO turned 18 at the newly built SSE Hydro in Glasgow on October 19. Trevor Nelson co-hosted the event once more alongside Sarah-Jane Crawford, and MOBO veteran Craig David flew out specially from the U.S to join us in the MOBO 18 celebrations. Stars including Iggy Azalea, Tinie Tempah, Naughty Boy, Laura Mvula, Jahmene Douglas, Stooshe, Katy B and more also attended. The night belonged to Laura Mvula and Naughty Boy, who each walked away with two MOBO Awards. Naughty Boy took home Best Song and Best Video for his chart topping hit “La La la” featuring Best Newcomer nominee Sam Smith and Mvula was crowned Best Female as well as Best R&B/Soul Act. 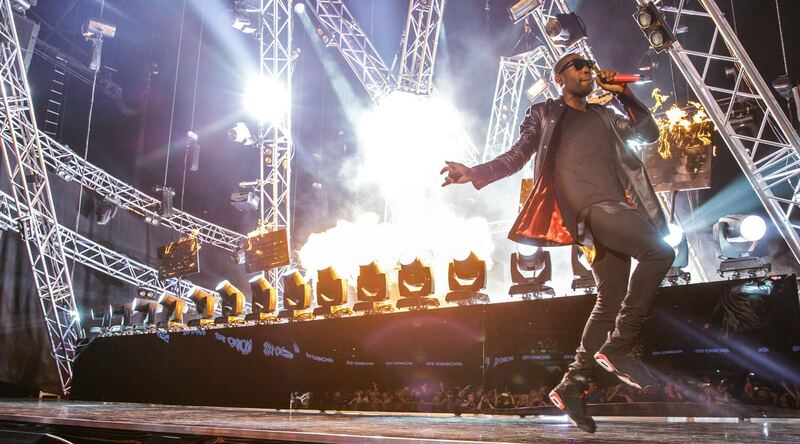 Tinie Tempah walked away with the Best Hip Hop/Grime Act award after a great year topping the charts with his second album ‘Demonstration’, and Fuse ODG left with Best African act. Best international Act went to Kendrick Lamar, who continued to make a huge impact on Hip Hop after releasing his critically acclaimed debut album in 2012. The crowds were treated to performances from the likes of Rudimental, Ms Dynamite, Fuse ODG, Jahmene Douglas, Tinie Tempah, Iggy Azalea, Naughty Boy and So Solid Crew closed the show with a show-stopping performance. It was a huge night for Grime legend Wiley as he won his very first MOBO Award for Best Male Act. Best Newcomer went to Krept & Konan, who joined just a handful of artists to be awarded a MOBO Award while still unsigned.